As I mentioned earlier, SAP is an ERP system that handles almost all department of an organizations. SAP handles an organizations's Finance , Controlling, Human Resource, Sales, Distribution, Material management, Warehouse, Production, Security, Research and many other departments. Not just that but SAP has a special industry specific solutions for almost all industries such as manufacturing, Pharmaceuticals, Insurance, Security, Finance, Treasury etc. What is the most important module in SAP according to you? Project Preparation: Initial planning, setting of goals and timelines, and identifying team members. Scope Validation: Achieve an understanding of how the organization intends to use SAP for their business goals, including the identification of business process delta requirements and how SAP can provide solutions for current processes. 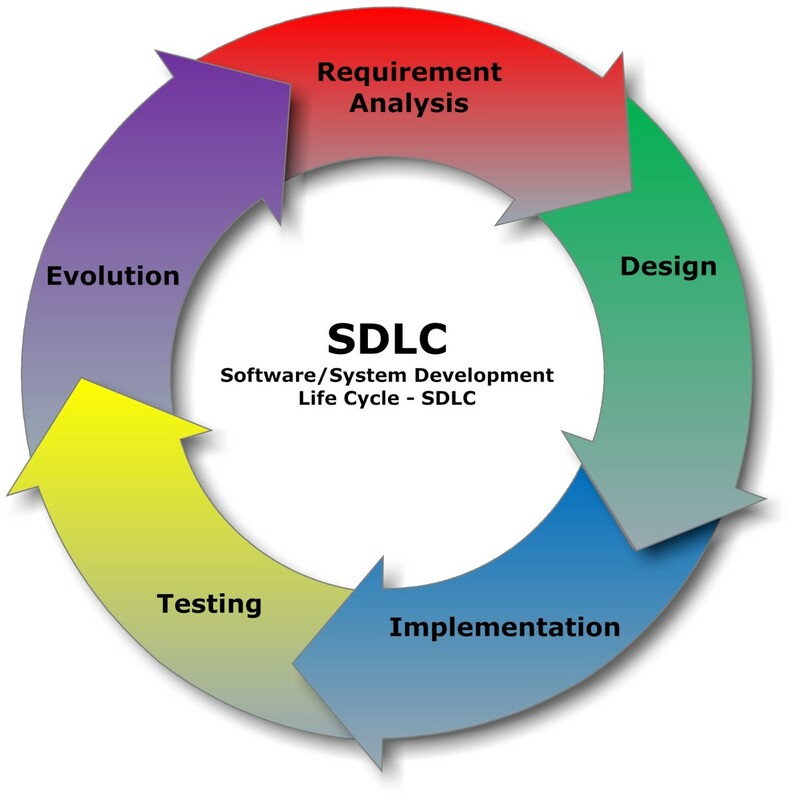 Consists of extensive process documentation. Realization: Once the business delta requirements have been defined, this phase moves forward with the implementation of those requirements. Also includes testing in time-boxed iterations before going live. 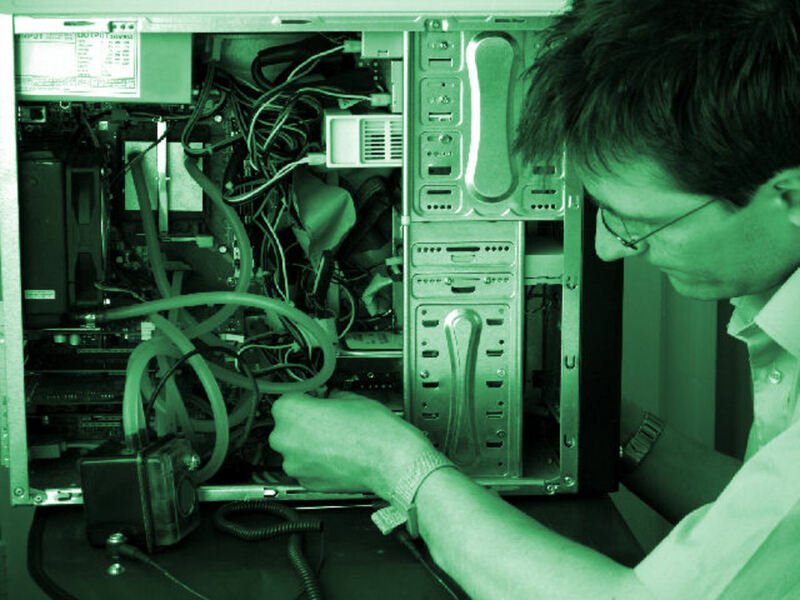 Final Preparation: Completion of cutover activities, such as rehearsal and end-user training. Prepare to go live. Go-Live Support: SAP modules go live with sustained support. Operate: Fine tune applications and interactions with applications. There are a few variations on the standard methodology, such as an Agile method which replaces the Scope Validation phase with a Lean Blueprint phase. The required method will depend on your organization's specific needs. SAP is a leader in ERP industry. 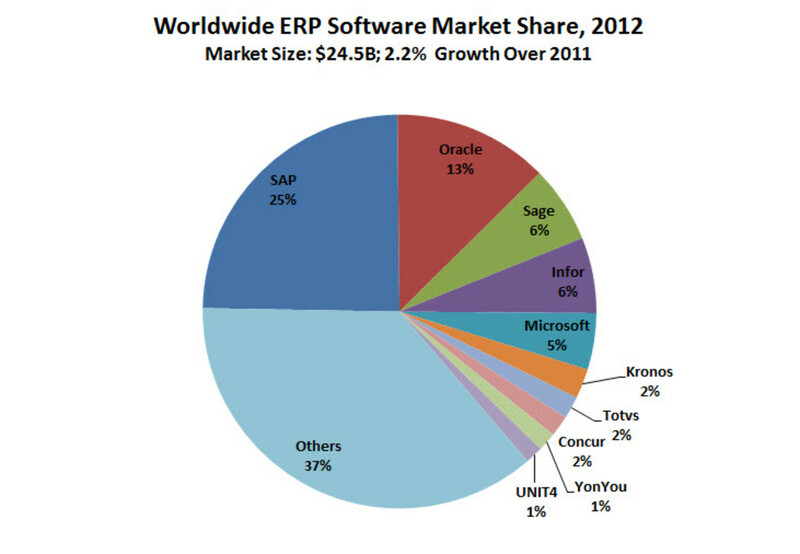 As recently as 2013, SAP controlled the largest single share of the worldwide ERP software market at 24 percent. Its closest rival was Oracle, with its 12 percent market share. The company's full-year revenue for 2014 was €17.56 billion, up 4% from 2013. According to Forbes, the growth could be attributed to a surge in cloud subscriptions as the company shifts its focus to cloud-based software. Although Oracle is a leader in data storage, SAP is the best in integration among modules. Moreover, SAP's HANA product poses a strong challenge to Oracle's dominance in data storage. 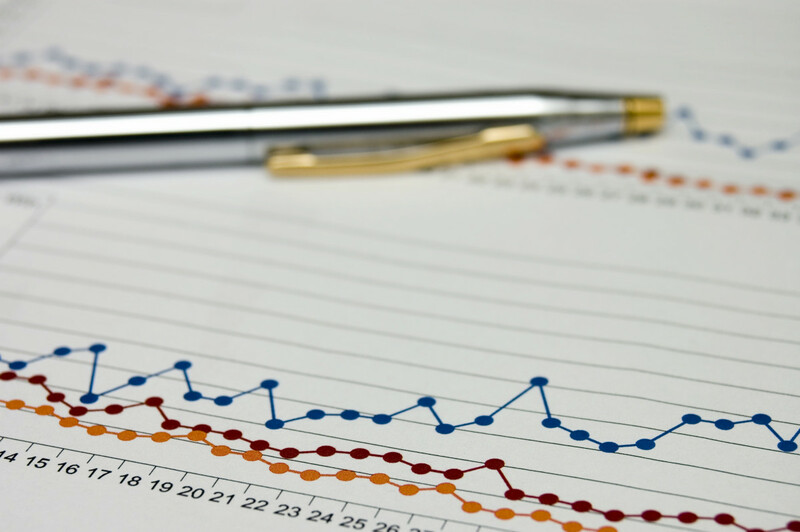 SAP ERP is most adaptable to different business models and needs. 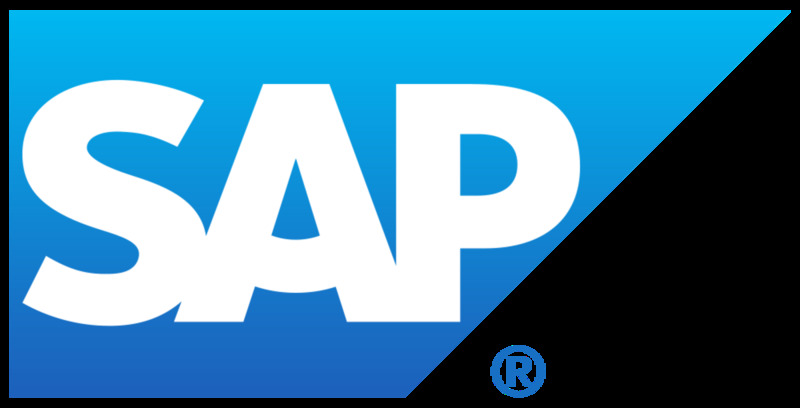 SAP is a reliable ERP system for both large multinational companies and small organisations. I've got a list of street addresses in numerical order. Is there any functionality on the SAP system to put this list of street addresses in Alphabetical order? Is there any feasibility to transfer the items automatically to another location which are become short expiry through the SAP system? How to download SAP EDUCATIONAL VERSION? This article gives a good idea about SAP for a beginner, thanks. Thank you for this. May i know if there is any were to get training of this via online? I'm quite new to this exciting world of IT & Business and quite frankly I'm seriously at a loss as to what and where exactly I fit in. 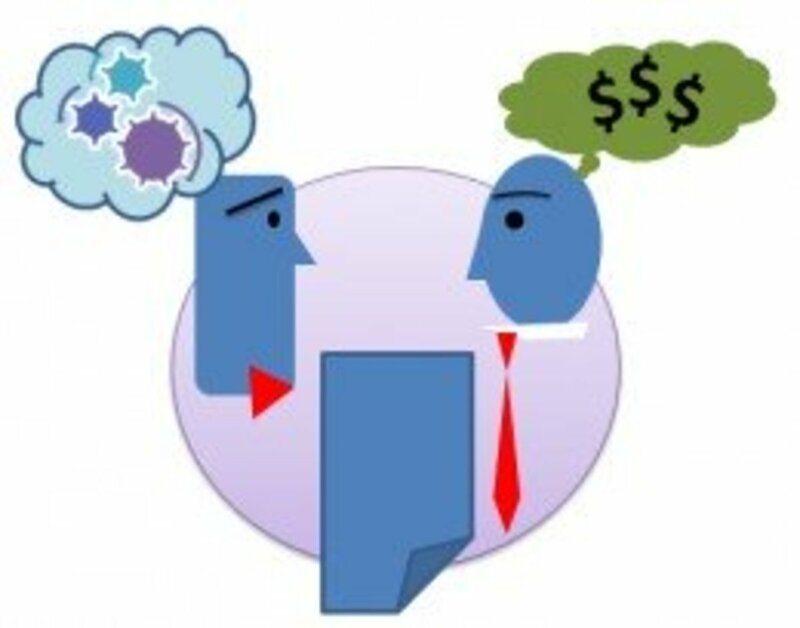 I've been pondering on settling between SAP & Salesforce a d though I'm yet to decide, this article has been most enlightening and helpful. Grateful to have come across it, cheers. Thank you, I used this article for a research paper but unfortunately have no name to attach for the author. i did graduation in B.a now i want to enter in SAP.. can you guide me what should i do which module ???? HI what's the best way to get back into SAP HR after a career break of 7 years? What should I focus on learning in order to become hire able again? I went through all the conversation and found it very useful. I would like to than hub author for such a nice information and quick reply of queries. I would like to ask few things. As I am preparing for sap sd and it is not any recognised institute. Once my course is completed then how and where can i apply for a freshers job? Also please share some SD related documents if posible. It all depends what's your interests are. 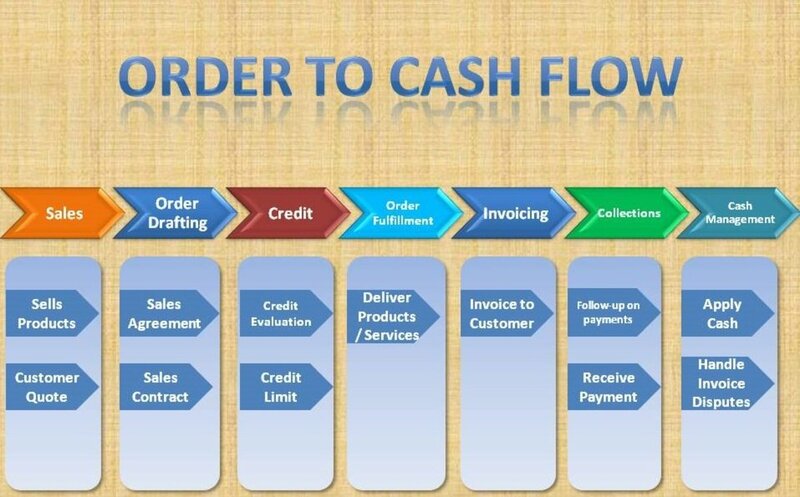 If you are interested/experienced in accounting, then go for FICO if not and still have business process interest then choose SD/MM/PP/WM modules. If you are interested in technical reporting and coding then choose ABAP. Please let me know your experience and education so I can better help. From your accounting experience, it seems you are a perfect fit for FICO module. If you really want to get in SAP career, FICO will be a comfortable module. I will be emailing you some more details in couple days. For new starter ?what would be the best to start? can some one send me informations aabout sap, what is it,functions and applications especially in analytical chemical laboratory. Can anyone please share the SAP - FI material with me? You are very thankful, today I Known in details about ERP,SAP & modules with explaination. SAP HR is a hot module and I am sure you can excel with your MBA in SAP. Earlier, companies were not keen to install SAP HR module but nowadays they want to implement it to be in sync with other departments. 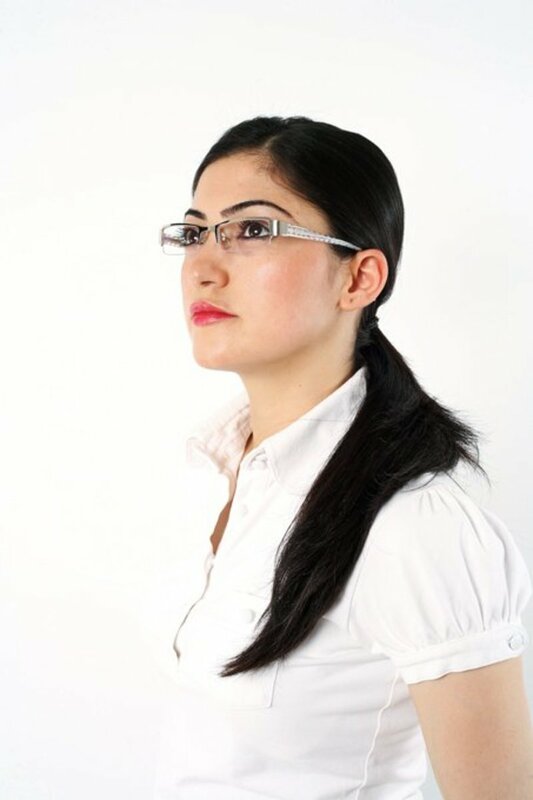 You can get better success in SAP HR than as an IT recruiter. Am done with my MBA with HR and Marketing as my specializations . 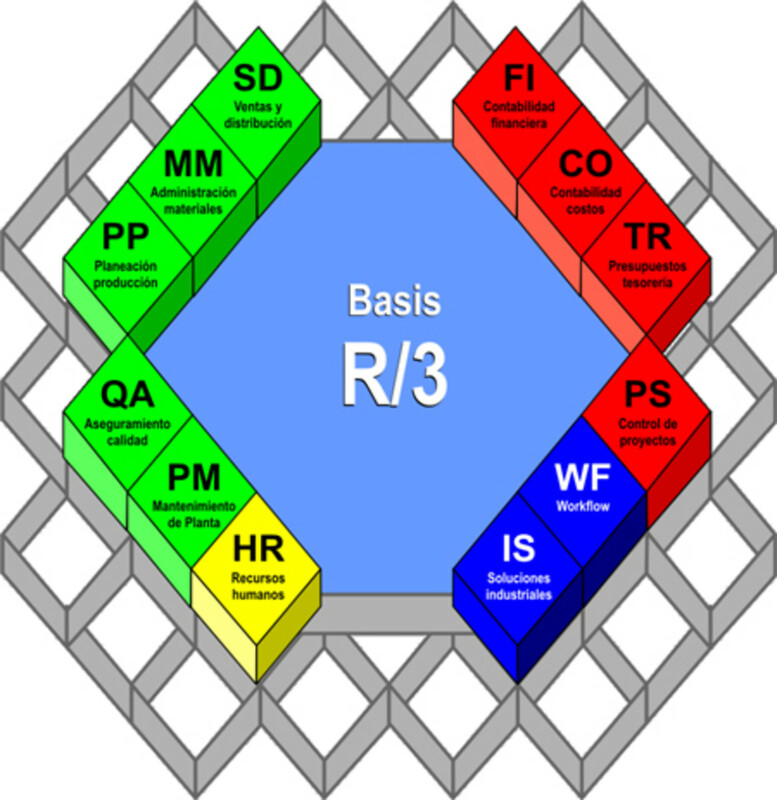 Could someone advise me what to take in HR module of SAP and what to be done further. I have got some offers as IT recruiter but didnt go for it. very nice explanation about SAP. Thank you for your valuable information and suggestions.. Your explanation, but I am new person, I want to learn SAP software. Give me some important tips for learning the SAP software. ERP is a general term for many software. SAP, Oracle, PeopleSoft, JD Edward, Dynamics and many others considered as ERP software. In short, SAP is one of the ERP software. For example, Norton is an antivirus software. Let me know if you need more clarification on this. Hello Brijesh, with MBA and 18 years experience in accounting is a great plus for SAP FICO. Actually you are in a great position to be in SAP FICO as you can easily get all the accounting entries. If you are in India, I suggest to go with a reputed institute which also help you get certification. To get a starting job in SAP, certification helps in a great way. Very-very useful and to the point information. I was looking for some basic info on SAP but have got more than required now after reading your article. Nice piece of information and the right guidance spirits. I Salute you.. I'm MBA in finance and have 18+ experience in Accounts only..can you please help me to start with learning SAP..how should I go for it, best institutes with a reasonable fee..practical experience & all. once again thanks for sharing on SAP.. Yes SAP has custom suit for all industries including medical field. Please check with SAP directly for getting more understanding and architecture diagram of the suit. Wow! You really did justice to your explanation of SAP for beginners. Excellent articulation, perfect presentation and straight-to-the-point analysis. Welldone sir! Hello Sudheer, SAP HR is a great field and it is in good demand nowadays. Unfortunately I have information and knowledge in SAP FICO , SD and MM only. But I recommend you to take a course/coaching instead just studying yourself. This way you will be better prepared for the job. Hope this is helpful. It is very useful for the beginners to know what exactly SAP is. Right now I am learning SAP HR. Please send the material and some important questions on it. If you have possibility, Please share the material and your views to sudheerreddy257@gmail.com. Have a good day. I'm an MIS major and i am taking SAP test next semester , I am just wondering what are the most important point to pass this test with the minimum score that is accepted by the orgnizatons ? I would be more thankful if you email them to amro-khan@hotmail.com ! Hi I'm working at the Post office. And I wanna study FICO. N I'm also interested in HR. My question is. Do I need to have a Finance or HR certificate/Diploma. In order to apply fo those posetions. 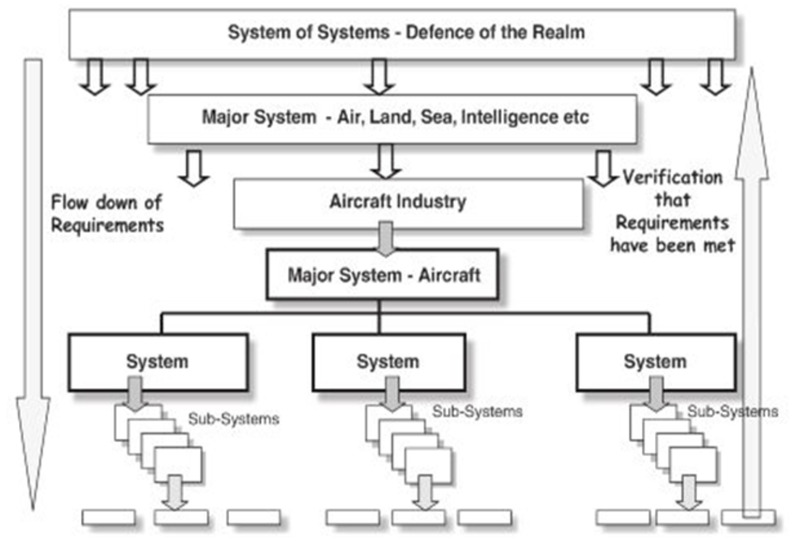 ya its really amazing to understand what is the sap what is role in industry thank q very much . I have working in oil industry and I'm interested by SAP training, could you please advise me a center from which I can get the course and material to learn this ERP. Hello Smruti, It really depends what's your interest. If you have some understanding in Finance /Accounting than SAP FICO, otherwise SAP SD, SAP MM are nice modules. But if you are more technical, go for SAP HANA. It will be a hotcake in future. SAP has a warehouse solution. It is called SAP Warehouse or SAP WM. 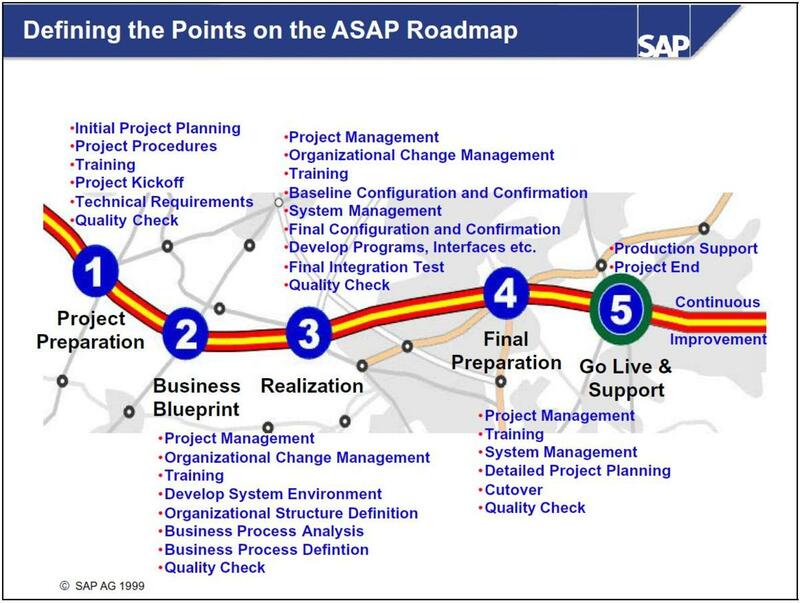 It is closely related to SAP material management (SAP MM) and SAP Production Planning (SAP PP). Very good information to a beginner. Sir presently i am serving in air force and very soon i am going to leave this service after completion of 20 years and further i want to do some job related to sap/erp. Please suggeste me which module of sap will be helpful for me to find the related job. I would like to know basic information on CERPS and MERPS. R/2 is two tier architecture while R/3 is three tier. There were R/2 before but it has been replaced by R/3 long ago. Really thank you for your clear and understandable explanation. I wonder if you can draw a picture of the relationship of 3 servers you mentioned in R/3 ,it will be very helpful for beginners to understand deeply the differences between R/2 and R/3. SAP is very powerful and robust ERP system. As I mentioned in the hub, it contains many different modules and industry specific solutions. Technical knowledge is not mandatory to learn SAP, rather you need to have good business sense and ability to learn new things. You can learn this software from SAP itself and from SAP authorized partners. SAP certification is not necessary but it can be useful for beginners to get job.Once you get a project, it all depends how you can learn from there. There are many materials available on net and I will try to provide some more materials via my hubs and blog. Hope you all succeed in what you do. Very useful info.......could someone share his SAP FICO material with me ? Thank you very much all who like my article. I am planning to post more articles on basic understanding of each modules such as FICO, SD and MM. Please let me know if you have any better suggestions. thanks for sharing SAP information.. Very useful. Can we share the knowledge with your nearest representative in Est Africa Region,especially in Rwanda? Thanks for the information about SAP its help me a lot. hi. am a BA student completed course in coress. wat kind of course s better fr me to get good job pls suggest. I didn't know the existence of SAP till my friend told me he wants to learn Enterprise resource planning.But after reading this article,I know what is SAP,and what it can do. Hello! Thanks for sharing god information may i know what is the procedure to sit in exam? and which is most demanding module ? i want to know more abaout it and also want to know abaut all institutions in india which is cirtified. My question: is it up to us which module we prepare or we need to study whole module? or also plz also give information how i get certification in SAP? Want to join SAP course . Please suggest me any institutions name where I can join course at Mumbai Chembur. Nice information,very use full to all those who wants to know about SAP. Can you please share SAP-HR material? It was very good explanation about SAP. I am planning to learn SAP BO module. currently am working as Dot net developer. Am intrested to get into SAP. Because of low payscale, Can anyone suggest me........ Thanks. it's a very good explanation to get an idea about what is a SAP and its modules. I request someone to share SAP MM material through which we can become experts. If possible please send me a copy to ashish.chavan8888@gmail.com. Excellent!! Introduction for SAP Aspirants. I'am also doing my SAP SD in Bangalore. I like to be in the network of people who are already in the SAP SD, new comers and Experts. So below is my mail ID. I thank you once again for the author of this article and request you to share something more about SAP SD. Thanks for such a superb info and point to point info in such a user frndly language.. Is SAP tutorials available on youtube?? Wow! A very detail and easy to understand article about SAP. Weldon. I hope you will write about SD someday.